A couple of weekends ago, we benefited from an unseasonably warm February afternoon and capitalized by taking a walk around Long Grove. 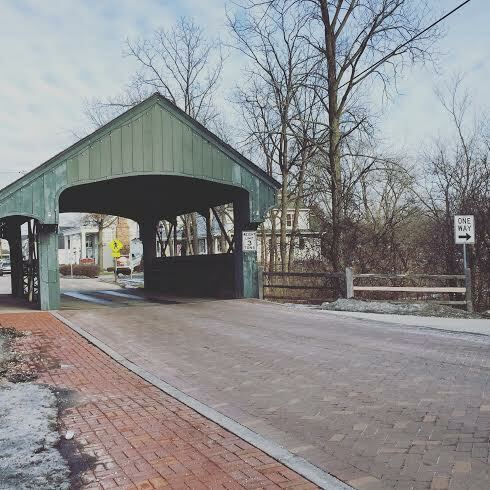 Long Grove is a quaint town in the Chicago suburbs containing a charming cache of historic buildings dating back to the 1800's. Honestly, it had been quite some time since we had explored Long Grove so we were curious what we would find. 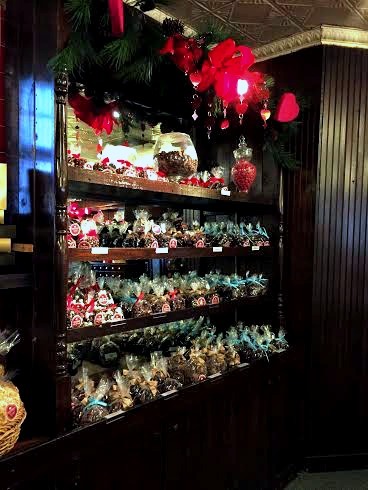 Long Grove Confectionery for a sweet treat! We have lived in the area for about 16 years. During that time, we have seen many changes in Long Grove. Some of our favorite shops are still there. However, we have seen many leave. Our recent visit, though, revealed some new additions. We also learned that new breath is being brought into town and we are excited to see how incorporating new businesses will add to the flavor of the town. 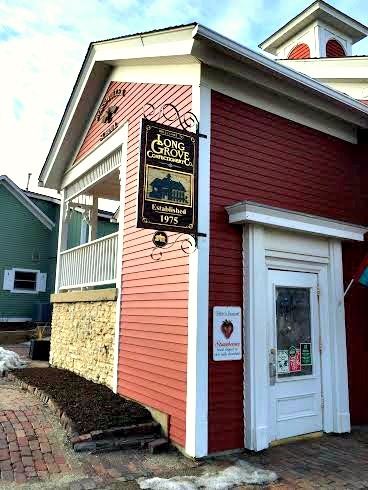 One of my favorite parts of Long Grove has long been a staple in the village: the Long Grove Confectionery. Who can resist a little chocolate, right? I have always been impressed by the wide selection of tempting concoctions consistently on display. 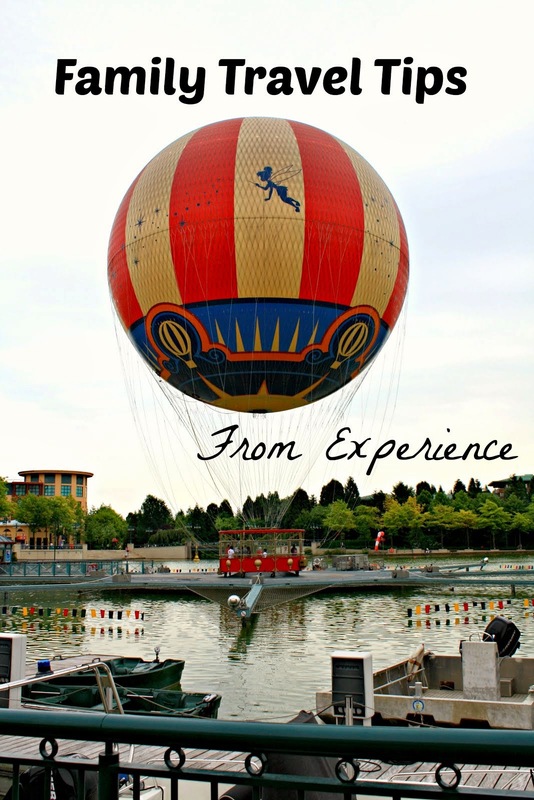 There really is something for everyone! Long Grove Confectionery's candy is made in nearby Buffalo Grove, so you know you are enjoying something local. Sometimes, you can see strawberries being dipped in the Long Grove location which is fun for kids! Making candy since 1975, the Long Grove Confectionery is a real piece of Long Grove history. There is always treasure to be found at Viking Treasures. We have always loved visiting the international stores in Long Grove for a little escape and trip to somewhere far away. 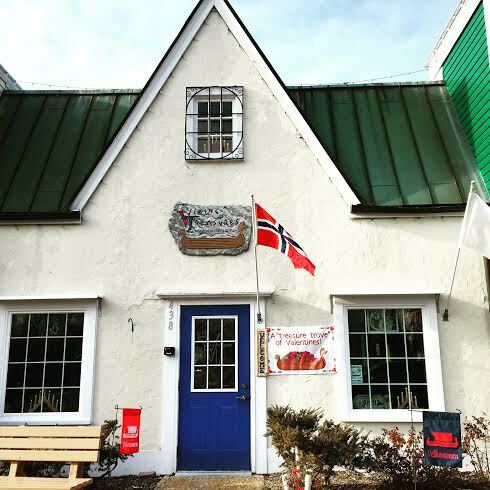 On this visit, we stopped in Viking Treasures to experience its wealth of items from Nordic countries. The store is pretty impressive and there are many items to look at, so a visit beckons a bit of time to take in the array of treasures. A day I can visit Paddy's on the Square is always lucky. Near Viking Treasures resides an Irish store and a French art store. Both are bursting with gems waiting to be discovered. 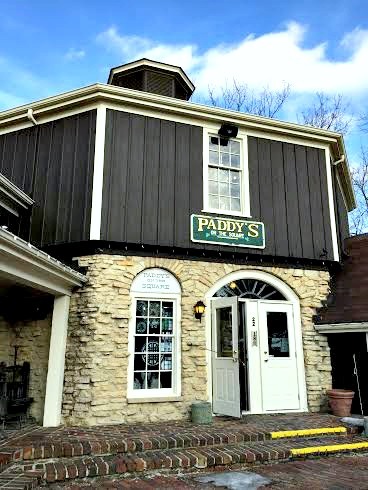 On this visit, though, we settled on the sister Irish store closer to the main parking lot called Paddy's on the Square. This store is quite enormous but if you are looking for anything Irish, this is the place to go! Since we visited Ireland last year, we were delighted to see many items that we saw in Ireland in the store. Beautiful memories! I was especially excited to find that they have Bewley's tea. A cuppa--what a way to bring you back to Ireland! Need a sauce for dinner inspiration? 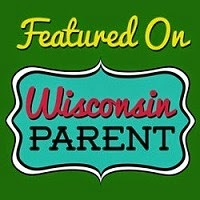 Since our last visit, Galena Canning Company has opened offering a range of sauce options. 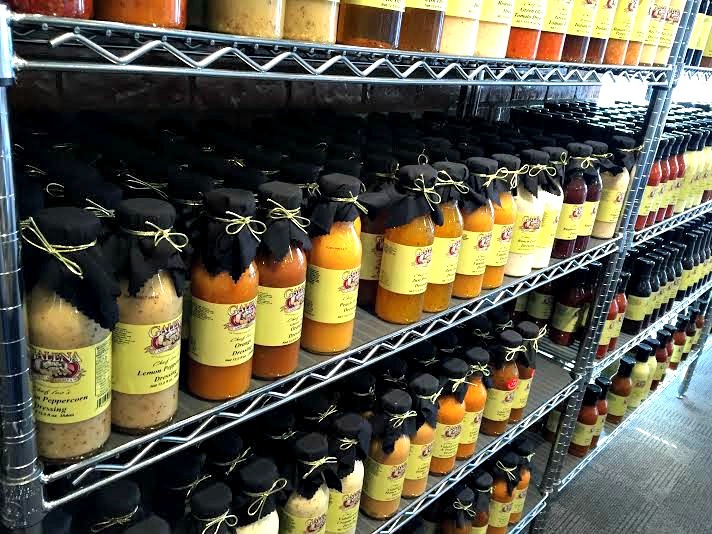 Mustards, hot sauces, dressings, jams and more---plenty of choices! There is a nice sample bar in the middle of the store where we were able to try a few. 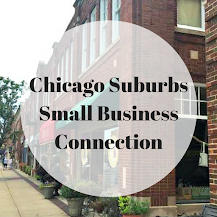 A fun new shop in Long Grove! Of course, our daughter could not resist the sampling! A place to swirl and relax. Also new to Long Grove is Broken Earth Winery. The inside is pretty impressive and seems to be a nice place to lounge while enjoying wine. A swanky bar, nice comfy chairs and even a fireplace makes it a nice place to chill. The gift shop is fun to peruse! I was happy to see some local items for sale and hope they do expand the selection of locally made items in the future! 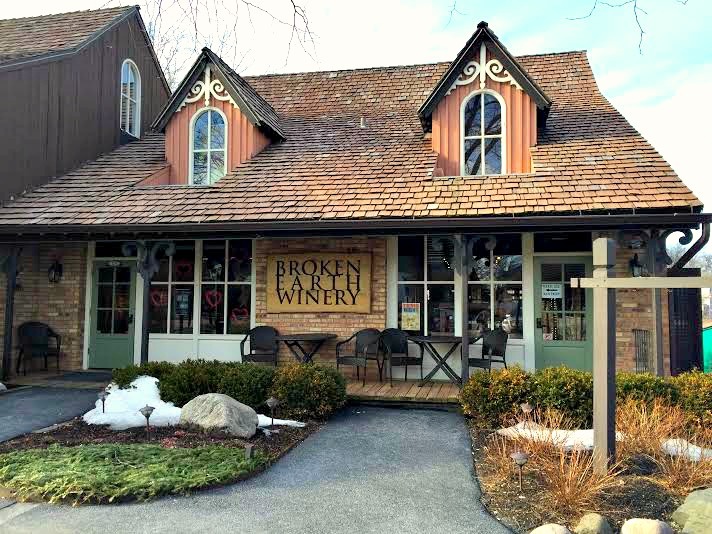 Broken Earth Winery is owned by longtime residents who also have a winery in California. 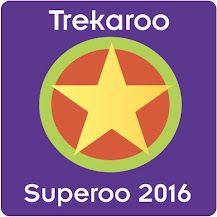 A nice addition for a fun evening or afternoon out. 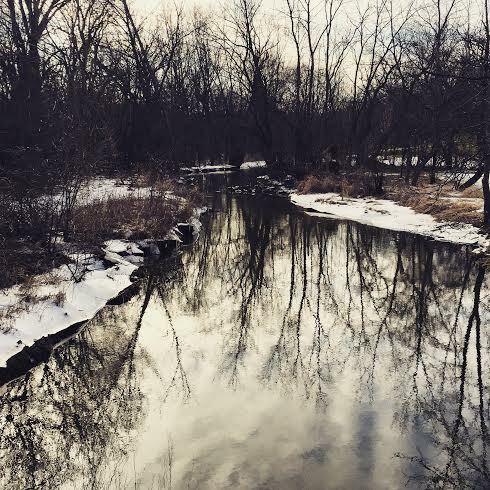 When we visit Long Grove, we also enjoy a walk to Buffalo Creek Park. You can get to it either a bit west of the covered bridge or not too far past the Village Tavern on the way out of town. We also like to check out the pond near the Mill Pond Shops to see the ducks and geese. Long Grove does have quite a few store fronts vacant. Some old favorites are gone. The Olive Oil Store and cute coffee shop are still there, definitely pluses. We have also heard that the Apple Haus will be returning, now owned by Bell's Apple Orchard. 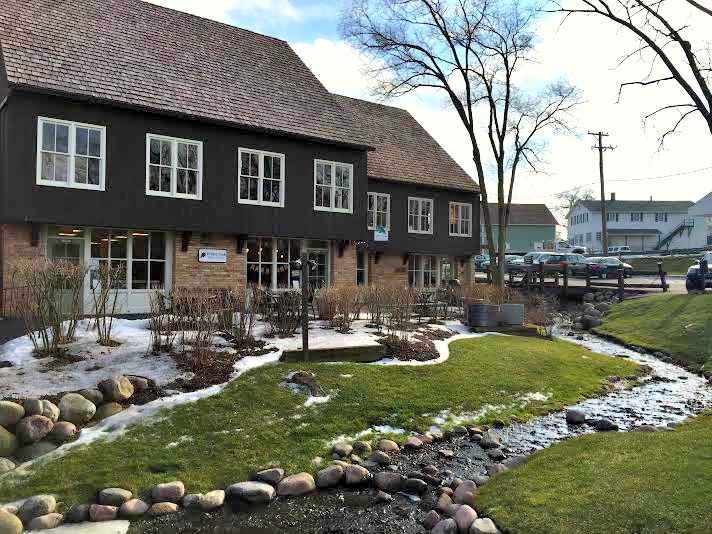 The Apple Haus has long been a staple of a visit to Long Grove, so visitors will be excited to enjoy apple treats in the near future. There are still quite a few shops to visit, but I am hopeful that more will open up soon! Really, a cute town to walk around but a little more life will help uplift the ambiance!